NEW YORK The New York Stock Exchange (NYX) is being sold to a rival exchange for about $8 billion, ending more than two centuries of independence for the iconic Big Board. The buyer, IntercontinentalExchange Inc. (ICE), an upstart exchange based in Atlanta, made clear Thursday that little would change for the iconic trading floor in Manhattan's financial district if regulators approve the deal. There will be dual headquarters in New York and Atlanta and ICE will open an office in Manhattan. 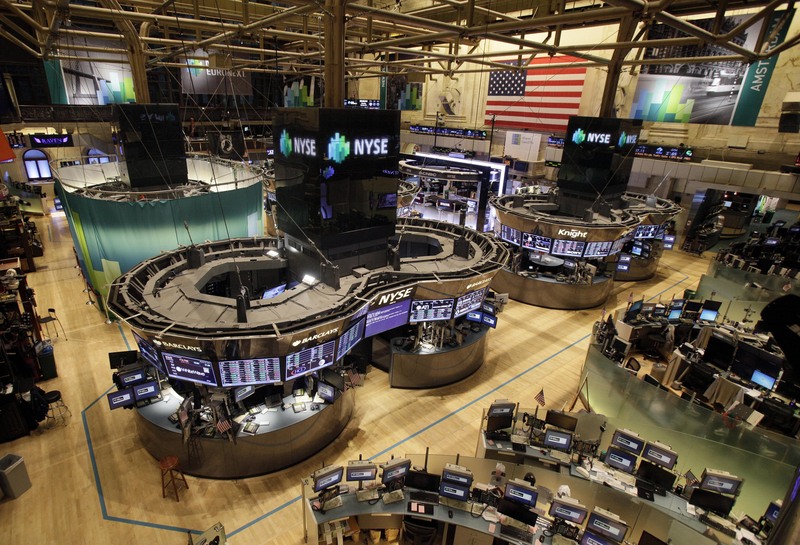 NYSE CEO Duncan Niederauer will become president of the combined company and CEO of NYSE Group. ICE said that the tie-up will create a top exchange operator covering a diverse lineup of markets and boosting efficiency. "We believe the combined company will be better positioned to compete and serve customers across a broad range of asset classes by uniting our global brands, expertise and infrastructure," said IntercontinentalExchange Chairman and CEO Jeffrey Sprecher. "With a track record of growth and returns, clearing and M&A integration, we are well positioned to transform our combined companies into a premier global exchange operator that remains a leader in market evolution." Sprecher will keep his positions. Four members of the NYSE board will be added to IntercontinentalExchange's board, expanding it to 15 members. NYSE Euronext Inc. shareholders can chose to receive either $33.12 in cash, .2581 IntercontinentalExchange Inc. shares, or a combination of $11.27 in cash plus .1703 shares of stock. IntercontinentalExchange plans to fund the cash portion of the acquisition with a combination of cash and existing debt. It added that the addition of NYSE will help it cut costs and should boost its earnings by more than 15 percent in the first year after the deal closes. The deal has been approved by the boards of both companies, but still needs the approvals by regulators and the shareholders of both companies. It's expected to close in the second half of next year. Exchanges have repeatedly attempted to merge recently as competition intensifies and commissions decline. Shares of NYSE jumped 40 percent in premarket trading to $33.75 and are headed for a new high for the year. Shares if ICE rose 5 percent, to $134.98. Shares of both companies had been halted in premarket trading earlier Thursday.